But wait, there’s more! 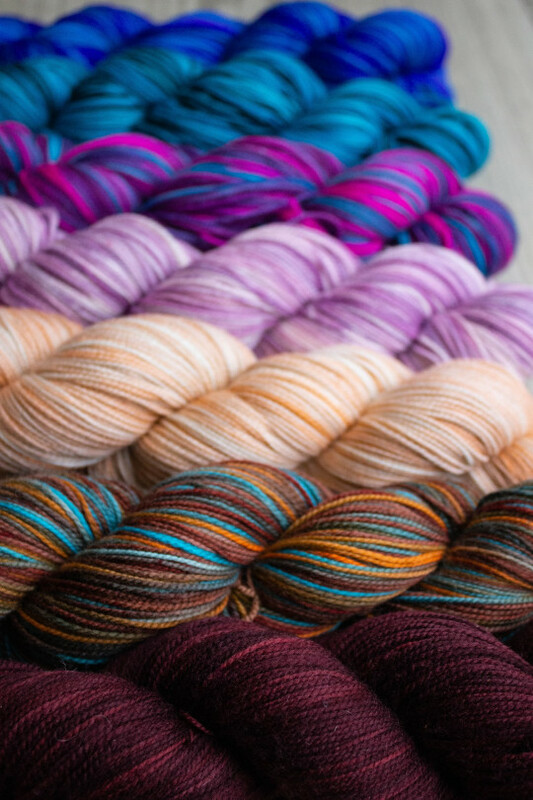 This month’s Artisan Pop-Up has not one, but TWO awesome dyers involved. Done Roving joins us with eight stunning colorways of Frolicking Feet, their 100% Domestic Superwash Merino yarn that is raised, sheared, spun and dyed right here in the USA.